Pod coffee makers, heard of one by bosch? Pod coffee makers brands are really wide and if you are thinking that your knowledge might not be deep enough to know of a single serve by bosch, don't be worried. Currently, there is still no such models other there. But, by end of this year, pod coffee makers would welcome another well established brand, i.e. Bosch into the single serve coffee maker's family. 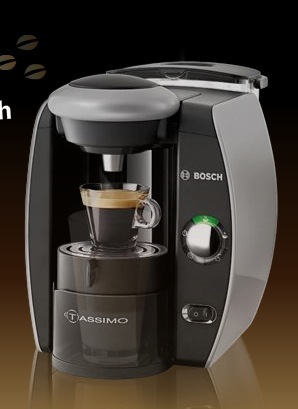 And the coffee brands that bosch would be partnering with is none other than Tassimo. Sure the tassimo is winning many new customers and market share with its tassimo braun version, but with its innovative spirit, this change would definitely awe more customers and win for them even more market share. **This bosch would never teach you how to brew better coffee! 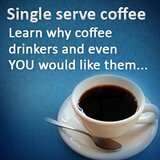 Sometimes "knowing" how to brew coffee is enough to get great coffee. Ever wonder about the best temperature or best conditions to brew coffee? 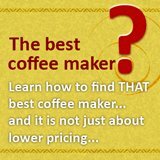 This free coffee course would provide some answer. 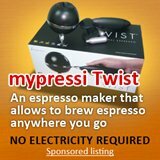 The planned launch date for the tassimo bosch is scheduled in September 2008 but since February 2008, there has been a series of promotional advertisement going around about this new player among the pod coffee makers. ***If this bosch does not interest you, what if there is a machine that makes pods for your pod coffee maker? Would you be interested? One sure thing about this new bosch tassimo is the mitigation of the overflow of water issue and it will feature a LED user interface that is green in color. The design and look wise is quite close to Braun model although the green LED light does make Bosch model looks more sleek (don't ask me why, it just seems so). This bosch tassimo also promises to have no pre-heat time with its flow through water heater. This is a feature that I am seeing getting more common among pod coffee makers , that only heats the water needed for that coffee and there is only a brief pause from the first to second coffee. Cleaning wise, the water tank is very accessible and is simple to clean with the de-scaling disc that they would be providing. Another feature which they are adding, which would be welcome by many is the height adjustable cup stand. This meant that this bosch tassimo can be used for most cups from the travel mugs to the heat-proof glasses. As for the cost for this unit,word has it that it would be priced competitively according to all other single serve coffee makers, which i assume should be in the region of $130-$150.00. The price is right and with so much buzz and marketing going on even before it is being launched, I seriously suspect that this tassimo by bosch is going to be a big hit! 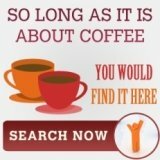 Moving on to look for other coffee makers?